Honestly the dentists are really nice and they always take good care of my teeth! Myself and my kids absolutely love Nova Dental. They’re always informative and smooth with any situation. They make my kids feel right at home! My kids just walk right in with no hesitation! I can’t remember receiving great service like this before!! Its crazy but I left this place feeling confused, the service was that awesome!! I love it clean, friendly, great place!!! 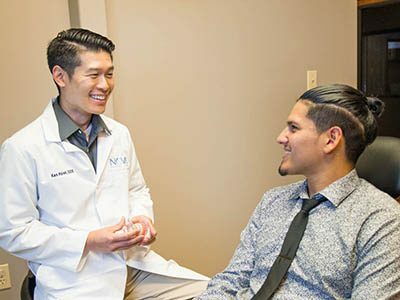 Dentists Kenneth Hsieh, DDS, Jennifer R. Jupio, DDS, Bilkisu Idakoji, DDS, and Maureen Poux, DMD in Houston, TX, share a vision: to create a caring and energetic environment dedicated to providing the highest quality of care to all of their patients. This includes delivering the highest quality of technical care and treating our patients with respect, courtesy, and compassion. This is the most common type of dentistry required for our northwest Houston patients. Our general dentistry services usually consist of dental cleanings, dental fillings, dental crowns, and tooth extractions. Being a kid is fun. Being a kid at the dentist usually isn't. This is why our kids dentists provide kids with entertainment to keep their mind off of being at the dentist. Kids get to choose any movie they want to see . Everyone wants a beautiful smile, but not all beautiful smiles come naturally. 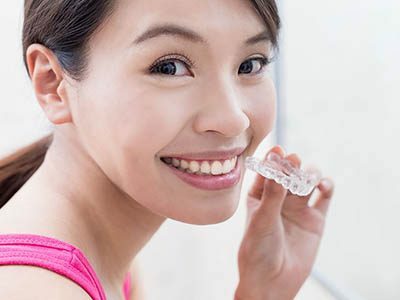 This is why we provide ClearCorrect plastic tray aligner braces. Our Houston dentists can give you the smile you've always wanted. Nova Dental Care is the top-rated dentist for the Northwest Houston area. Our dental office specializes in general, restorative, and pediatric dentistry, as well as orthodontics. Let us brighten your smile. Schedule your dental appointment with us today.